I am not really interested in NBA Politics, I wil rather focus on my practice. But the tensed atmoshere created by this year's election is practically irressitable. As an independent observer, I have carefully examined all the candidates for the election. Though the person disquailified appears unique and smart, that aside, we have three standing aspirants for the prestigious office of the President of the largest association of lawyers in the African continent. Just for the record, all of them are eminently qualified and adequately exposed to man the office, considering the fact that they are all Senior Advocates of Nigeria. Having said that, we must realize that in all contest there must always be a winner. On that basis, permit me to assist you in making that crucial decision. 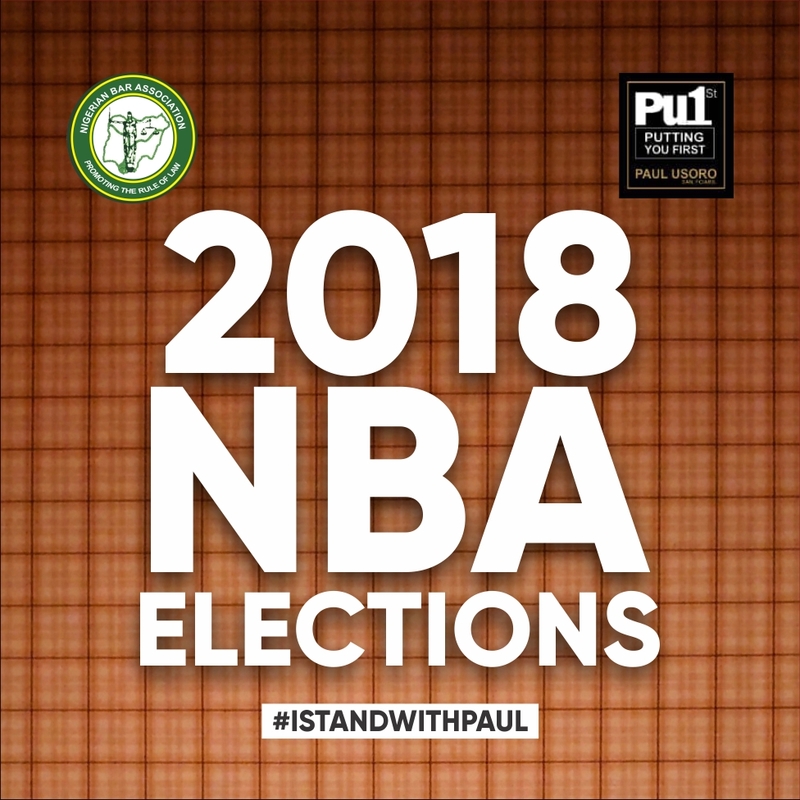 A critical look at all NBA elections before now would clearly reveal a sudden shift in the norms; technology has played a key role in this year's election, and this is just the beginning, because the world is moving towards a very tech system and the legal profession cannot be left aside. Take time to study the pattern and system of other international Bar foras and you would discover that Nigeria is far behind. 95% of Nigerian lawyers cannot compete with their colleagues in other jurisdiction, it is very sad! Majortiy of our practice areas have continued to shrink and the process has only just begun. We urgently need a president that can turn the fortunes of NBA around, someone with international networking and a deep understanding of the global system. We need to move from the norms of what we used to know or what we have been taught and embrace the furture. We obviously don't want someone who is simply a stogy for another person or who lacks the capacity to firmly take up the challenges of the furture. Having carefully gone through the manifestos of all the contestant along side the unfriendly tantrums across boards, I have come to the irresistible conclusion that the best man for the job is Pual Usoro SAN. He has all that we need for the desired furture Bar, his track record of success speaks volume. In other clans, this is someone we should all desire to lead us. Fortunately, he has volunteered to serve, let's join hands to create the Bar of the future and recreate new practice areas for lawyers . 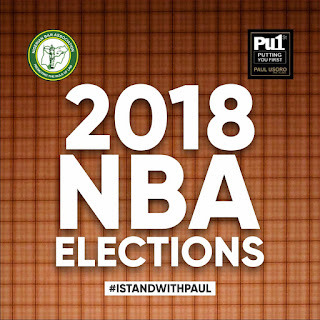 Vote Pual Usoro SAN, putting you first all of the time.